Over a year ago Betsson added the new Mega Fortune Dreams slot game by NetEnt, which automatically removed Mega Fortune, the original game. Although Mega Fortune Dreams is very popular and comes with a very cool free spins feature, a lot of players missed the original. And the original is still the most popular one. Well, Betsson has returned Mega Fortune and now both progressive slot games are available at Betsson. To celebrate the return of Mega Fortune they are running a very cool cash giveaway promotion all week, with a total of €60.000,- in cash prizes available. Make sure to have an account at Betsson and opt-in for the promotion. 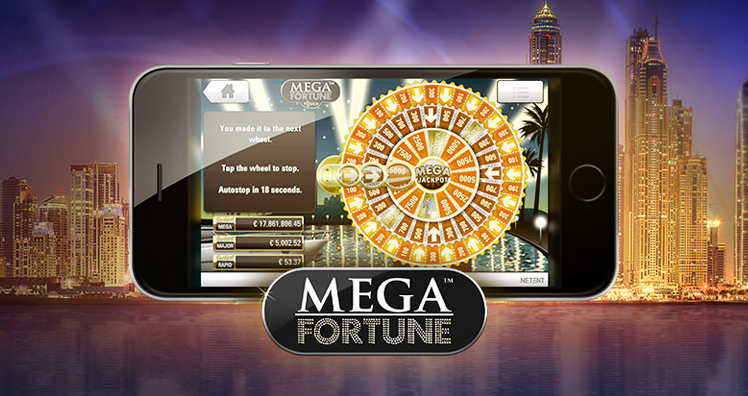 After this, play Mega Fortune and for every spin (of €0,25 or higher) you will receive 1 ticket. Each day 101 players will be awarded with cash prizes and during the weekend of September 19th and 20th, these prizes are even a lot higher. Here is the full list of prizes available each day. I love this promotion because all players have an equal chance, high rollers and low rollers. And maybe you even grab that progressive jackpot while playing for this promotion. Join Betsson now, if you haven’t already and don’t forget to opt-in before you start spinning Mega Fortune slot game.